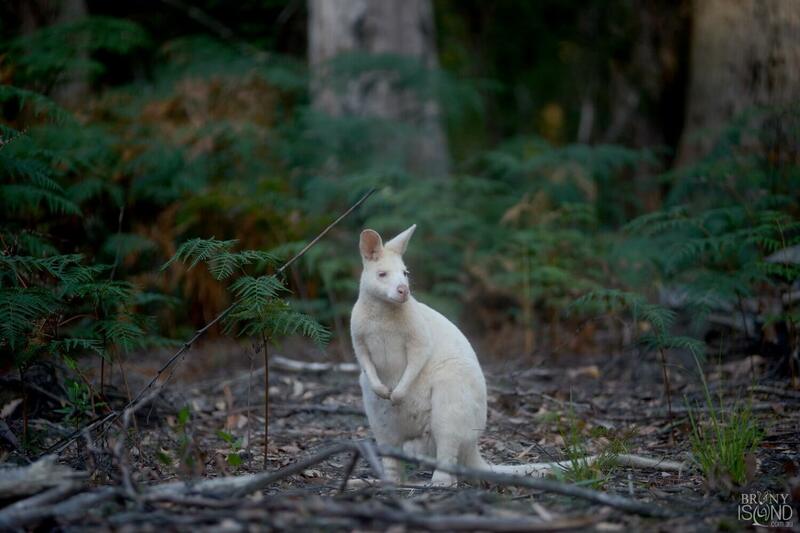 White wallabies are Bennett's wallabies (Macropus rufogriseus) with a rare genetic mutation that gives them their white fur. 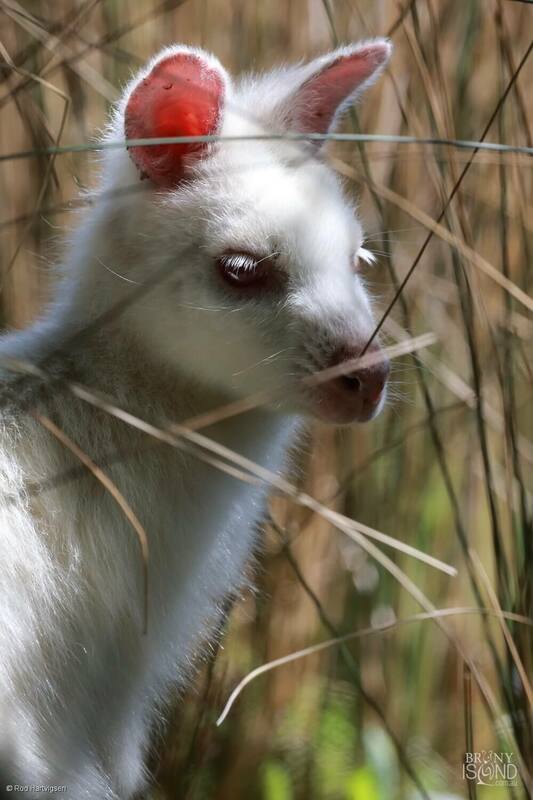 Bruny Island has a population of white wallabies, some which are albino with white coats and pink eyes, ears and nose, while others possess only the white coat. 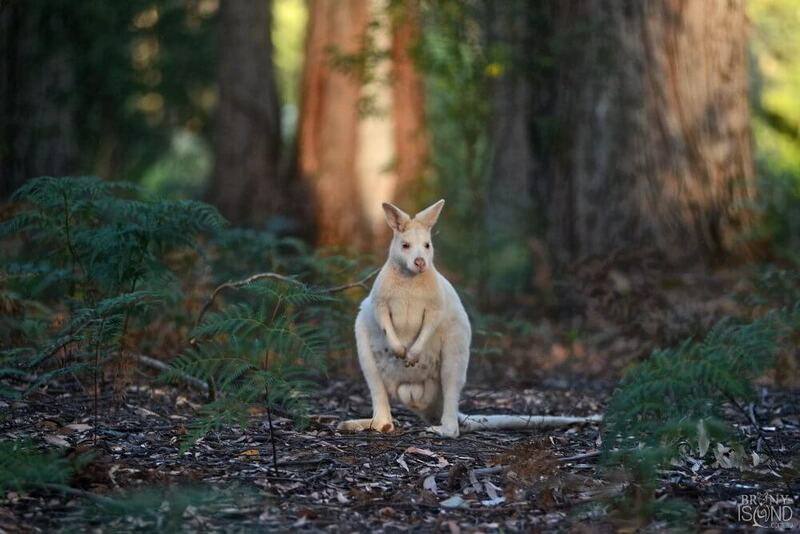 Wallabies live in forest areas but are often seen resting during the day in open areas. 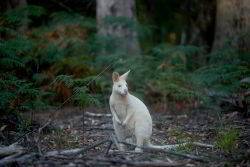 Wallabies are generally solitary animals but will often be seen in groups grazing together. They are herbivores and they eat grasses, roots and leaves. The breeding season is from January to July. It takes about a month for gestation and then the baby joey stay in the mother's pouch for about 280 days. 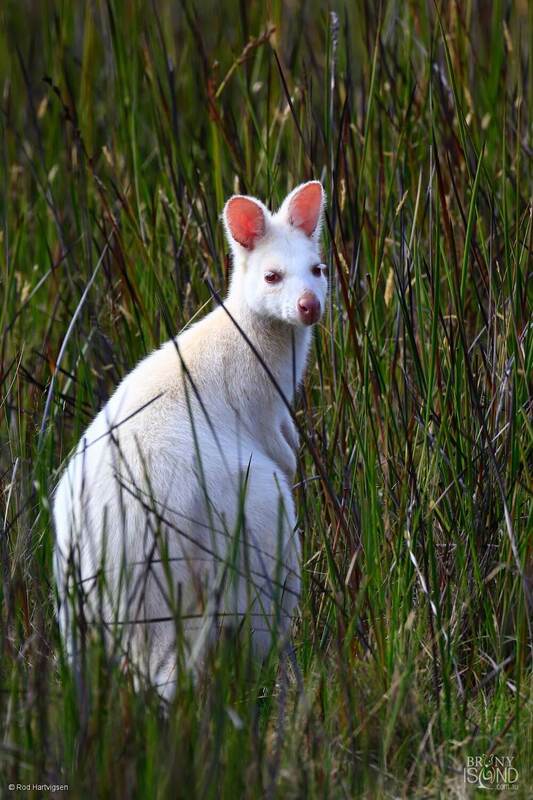 White wallabies are not endangered and the lack of predators on Bruny Island has allowed the population to grow. 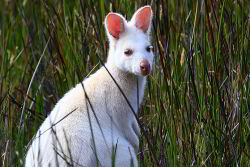 However white wallabies are more sensitive to sunlight which results in high rates of skin cancer. 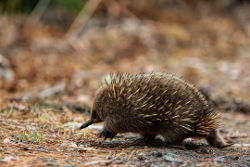 The Short-beaked Echidna (Tachyglossus aculeatus) is found throughout Australia but is quite common in Tasmania. 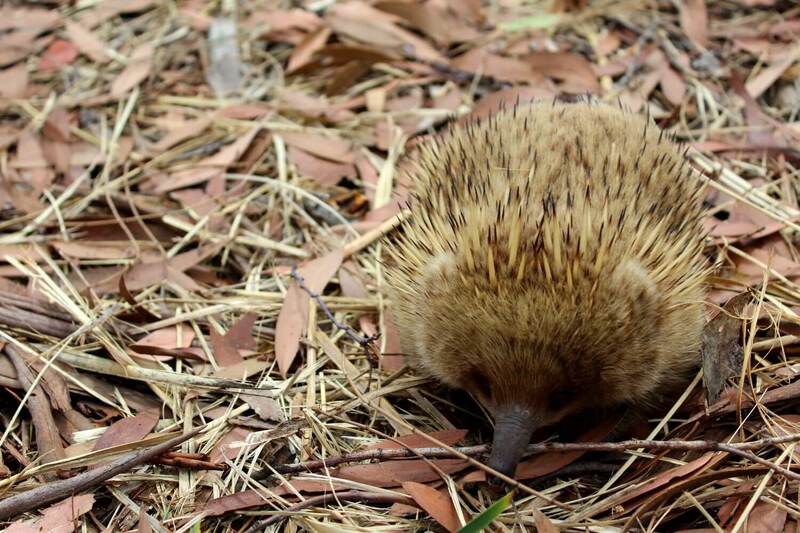 The Echidna belongs to a class of mammals called monotremes. 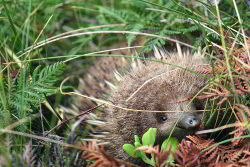 Echidnas live in caves, burrows and under vegetation. They have no fixed home and roam around. They avoid hot weather as they cannot sweat, and hibernate during winter. 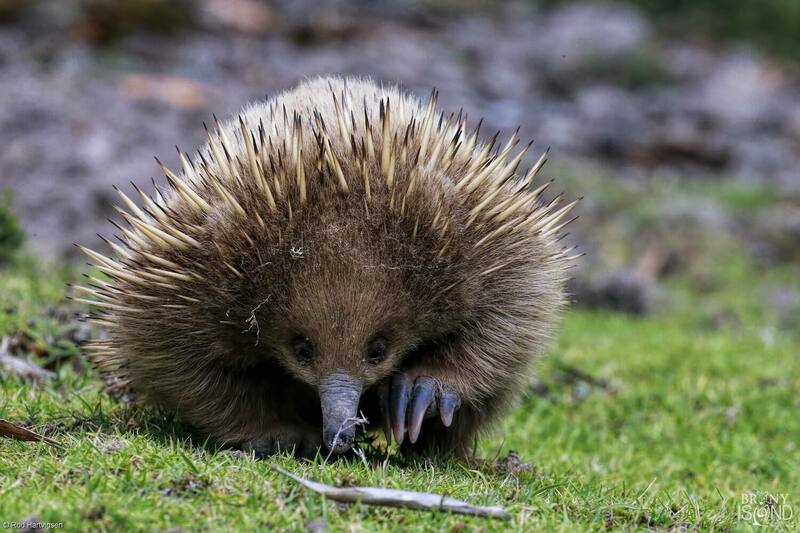 Echidnas roam around looking for food in rotten logs and anthills. Their diet mainly consists of ants, termites, worms and insect larvae. They have strong limbs and claws which they use to burrow and break apart soft logs. The snout has electroreceptors for detecting prey and they have long sticky tongues which they use to capture their food. 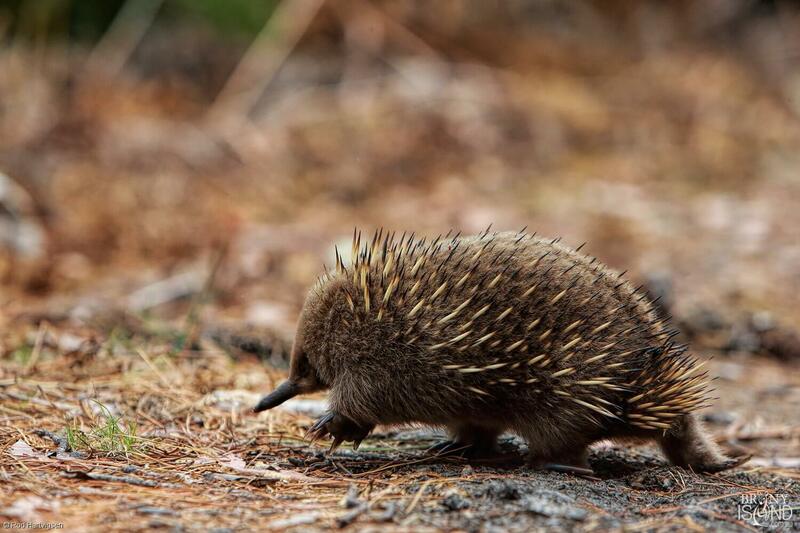 Echidnas are solitary animals except during mating season. When threatened they will burrow into the ground or roll up in a ball, leaving only the spiny part of their body exposed. 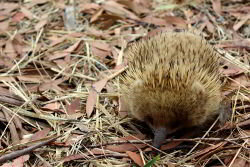 Echidnas are not currently endangered. The main threats to echidnas are habitat destruction, motor vehicles and other animals which hunt them for food. Captive breeding programs have been largely unsuccessful. The Dusky Antechinus (A.s. swainsonii) is a marsupial mouse that is found in Tasmania. The males of the species live for 1 year and die out in mating season. The Dusky Antechinus makes its home in the forests. The Dusky Antechinus feeds mainly on insects and worms, but also eats small lizards. It is a solitary animal except during mating season. During mating season the males go on a mating frenzy and at the end die out from stress, leaving a population of females. The main threats to the antechinus are destruction of habitat, and predators such as the fox and feral cat. 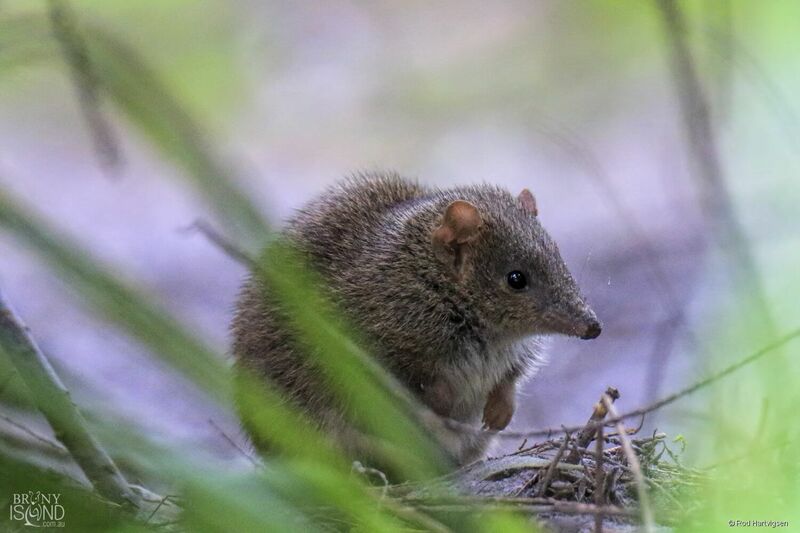 The subspecies the Tasman Peninsula Dusky Antechinus (antechinus vandycki), discovered only in 2015, is being considered for addition to the threatened species list. Southern Elephant Seals (Mirounga leonina) are the largest species of seals, and get their name from their elephant like snout. 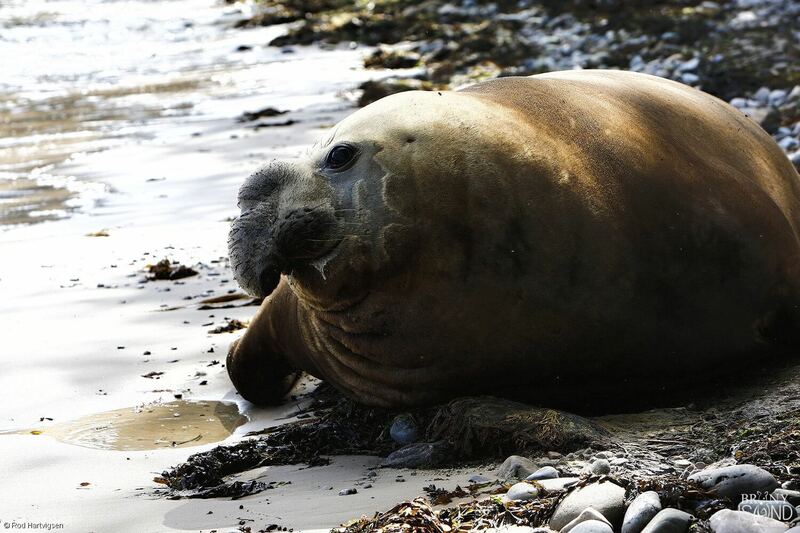 Male Elephant Seals can reach up to 3000kg in weight, and are 5 to 6 times heavier than the females. Southern Elephant Seals live in Antarctic waters and spend up to 80% of their time in the water, looking for fish and squid to feed on. 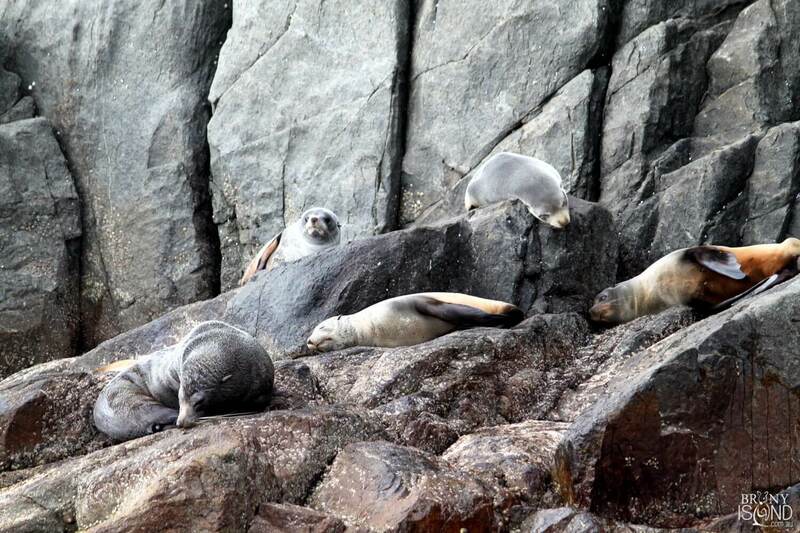 They migrate in search of food and are occasional visitors to Bruny Island. Elephant Seals spend most of their time in the ocean but form breeding colonies during mating season. During mating season, male battle to be the dominant male and have the right to mate with a harem of females. Elephant Seals were hunted nearly to extinction for their blubber in the 19th century. 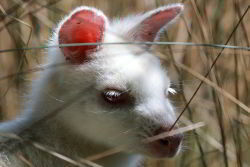 They are now protected under the Tasmanian Threatened Species Protection Act, 1995. 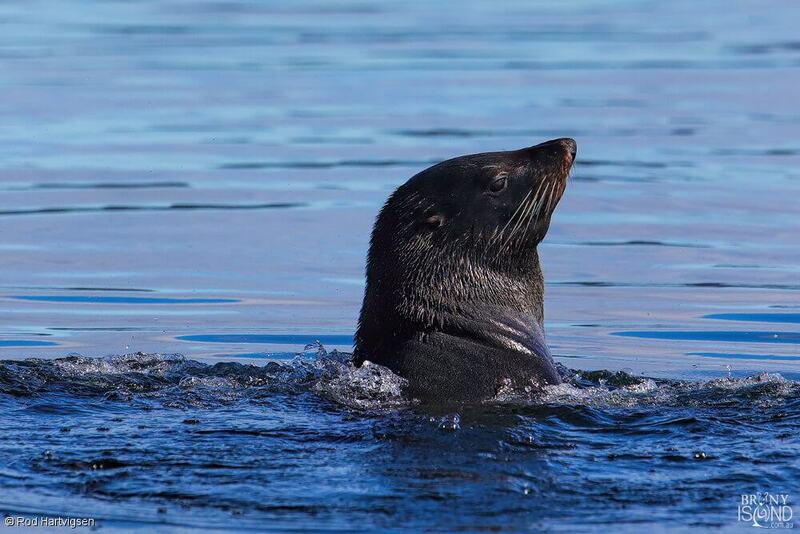 The Australian Fur Seal (Arctocephalus pusillus) is found commonly in Bruny Island waters. A colony of seals can be found on rocky outcrops at the southern end of Bruny Island. The Fur Seal spends most of its time in the water or on rocky beaches and outcrops on the coast. 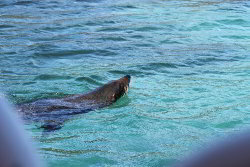 Fur Seals are marine mammals. They have a layer of blubber which insulates them. They feed on fish, squid, octopus and lobsters. They can dive to depths of 200m . 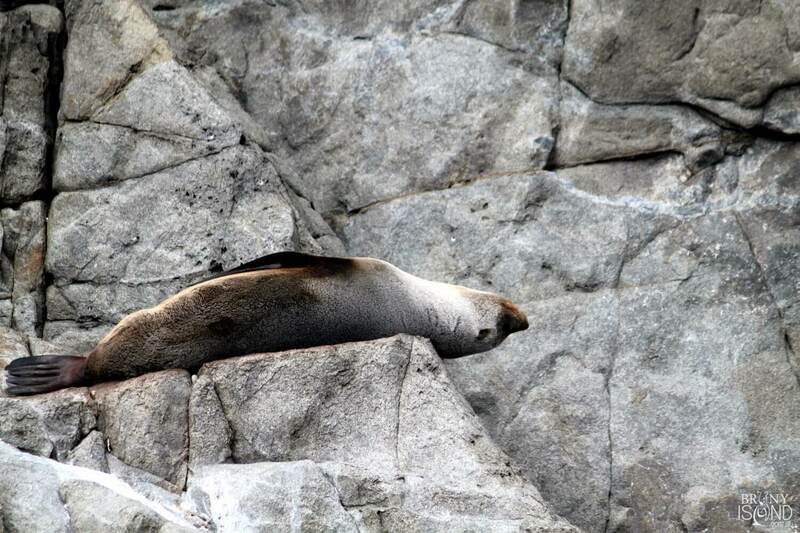 Fur Seals are social animals and gather in colonies on rocky outcrops and isolated islands. 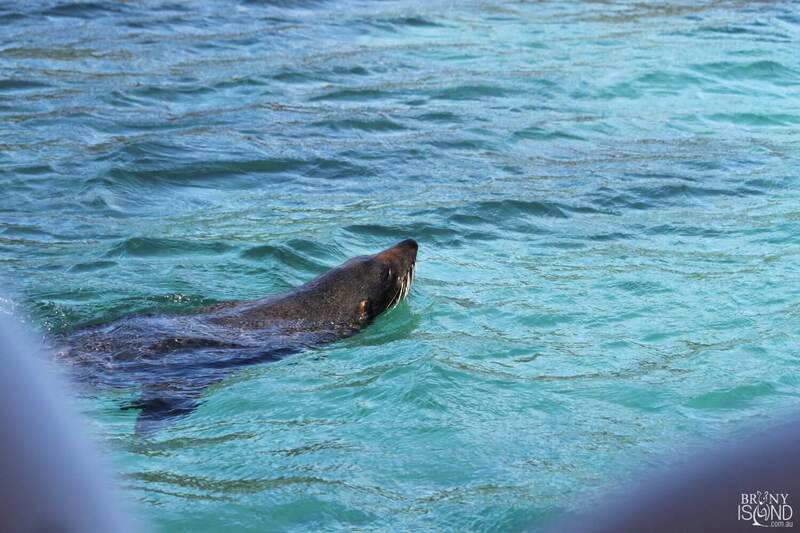 In Australia Fur Seals were hunted commercially until the 19th century. Seals became a protected species in 1923. 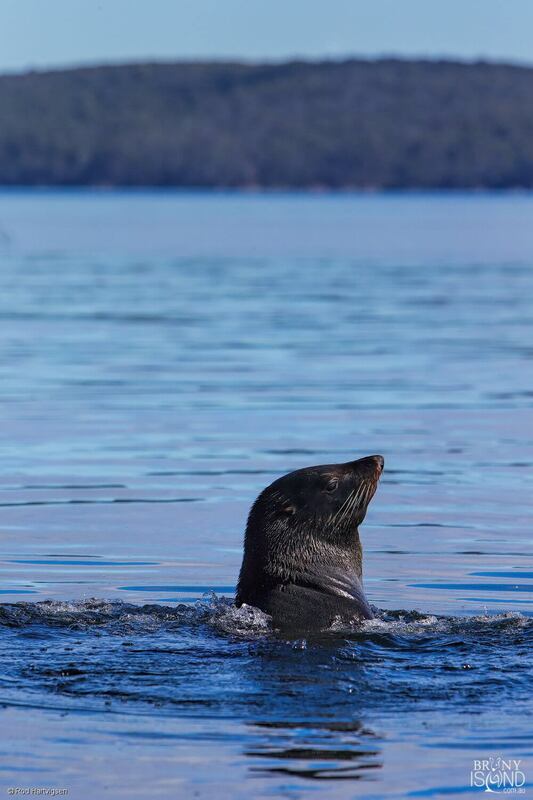 Modern threats to the seal include entanglement in plastic waste and netting, ingestion of pollutants, and accidental killing in fishing by-catch.